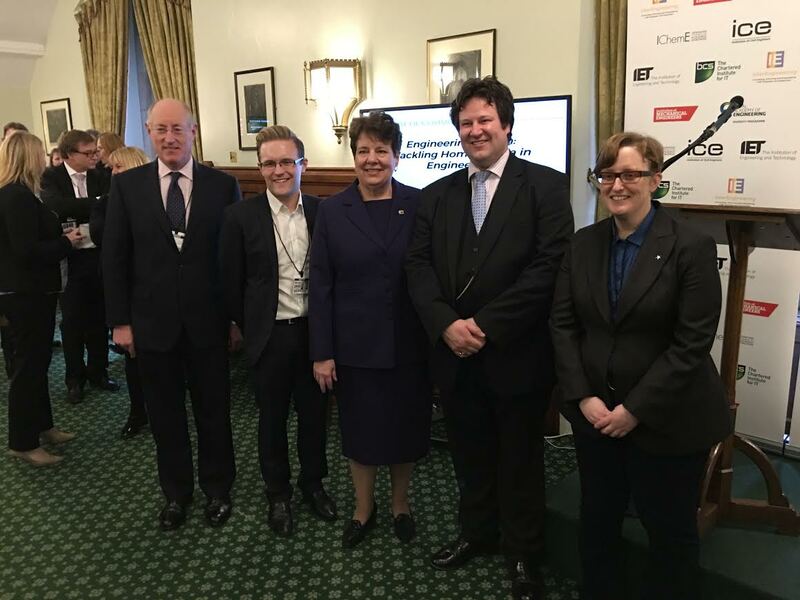 In November 2015, we published our first report “Engineering Action: Tackling Homophobia in Engineering“, co-authored by Mark McBride-Wright, Chair & Co-founder of InterEngineering, Alec Shelbrooke MP for Elmet & Rothwell and Joshua Harvey, Parliamentary Caseworker, and also including a foreword by Lord Browne of Madingley, former CEO of BP and author of The Glass Closet. The report highlights further action is required within the engineering industry to tackle homophobia and its effect on productivity. It is suggested that a potential contribution to GDP of £11.2 billion a year is currently lost due to bullying and pressures on lesbian, gay, bisexual and transgender (LGBT) engineers in the workplace. (Photo credit: David Hudson, GayStarNews).